You are here: Home / Testimonials / I didn’t realise the absolute importance of choosing a caregiver who was supportive of our wishes. Just wanted to pass on a quick thank you – we completed the Hypnobirthing Course in Adelaide with Hannah Willsmore and absolutely loved it. While our birth didn’t go quite as we would have liked (I think we perhaps didn’t realise the absolute importance of choosing a caregiver who was supportive of our wishes – a lesson for next time) we were still able to use so many of the techniques and are continuing to do so after the birth. It’s so hard to put your full trust in your instincts the first time around! 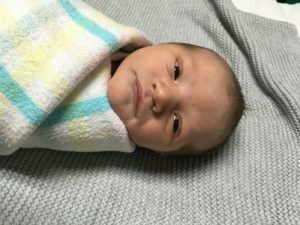 I think our ‘due date’ may have been a little out – despite feeling happy and comfortable in my body and the subtle changes I could feel as it prepared for labour, it became so hard not to get worn down by friends and family wondering when the baby was coming and eventually doubt myself and buckle to the pressure to induce. I know I will feel a lot more confident the second time around and look forward to putting all the techniques into practice then. It’s crazy how much birth and the period after are based on fear and the worst possible outcome! Since getting home we have blocked out the noise, trusted our instincts and have a happy, calm little baby (and parents!). All the information we received during our course and follow up emails have been amazing and resonated with me so much. Thank you!